Thinking about making a change in your career? 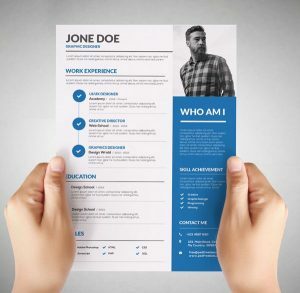 For some, it may have been years since the last time they were in the job market and just don’t know where to begin when it comes to recreating their resume. As an IT staffing company, we see resumes as the introduction of the candidate to the Hiring Manager, or more often, their gatekeeper. The job of the resume is to best describe the experience and skills of the candidate, and if we’ve done our job, it matches enough to move them to the next step. If you are either creating a new resume from scratch, or just looking to update your current one, here are three helpful suggestions. Should I make a different resume for every position I apply to? are applying for. For instance, if you are a QA/BA and the position is for a Business Analyst, you would want to highlight your experience geared towards that job. You may even want to have two master resumes in this case- one for BA roles and one for QA roles. Do I have to list every job I’ve ever had? No! You should list previous experience that is relevant to the field you are currently in. If you’ve been a Project Manager for the last 20 years, there’s no need to list your retail jobs from college days. If I have gaps in my resume should I explain them? Yes. You should be prepared to explain any and all major gaps in your career. Some people prefer to do this in a cover letter while others list on their resume. There’s no need to be long winded about it though- you can save that for the interview if you are questioned further about it. Hopefully these little tips will help generate more interest in your profile and move you along to the interview phase of the process. If you find yourself struggling, feel free to contact us for a free resume consultation at resume@spearheadstaffing.com to get some assistance.